Writers Unchained of Bristol are delighted to announce the next Story Sunday event on October 23rd will be part of the 2016 Bristol Literature Festival (October 21 – 29th) an event famous for its nurturing of grassroots writing and performing talent. 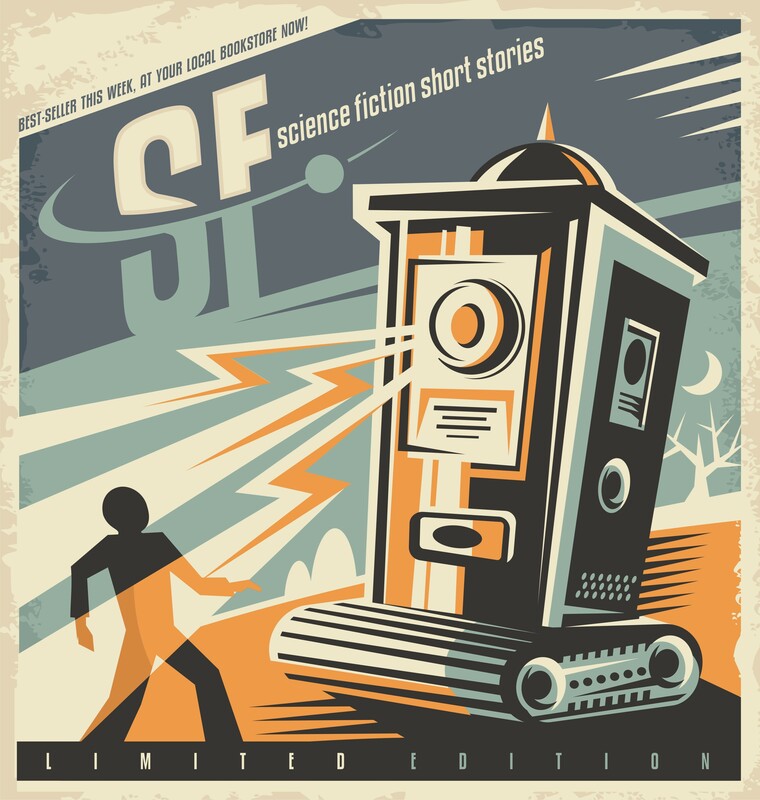 Our theme this time is The Twilight Zone so we’re calling for stories in the genres of scifi, fantasy and speculative fiction. stories can be published or unpublished as long as you have the right to read it out. 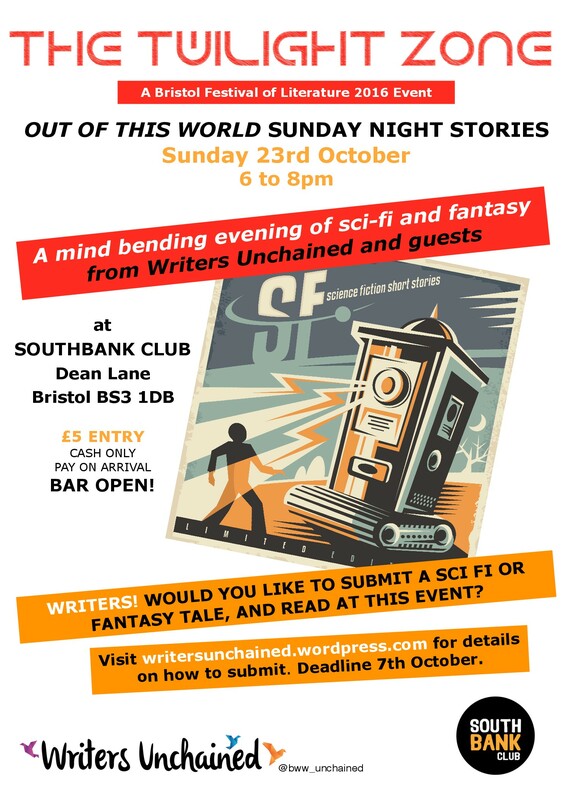 only submit if you can read on Sunday October 23rd between 6 and 8 pm at Southbank Club, Dean Lane, Bedminster, Bristol BS3 1DB. There’s more detailed information on how to submit on our website. Don’t forget this is also an event for those who just enjoy listening! Tickets for ‘non-readers’ will be £5 on the door.